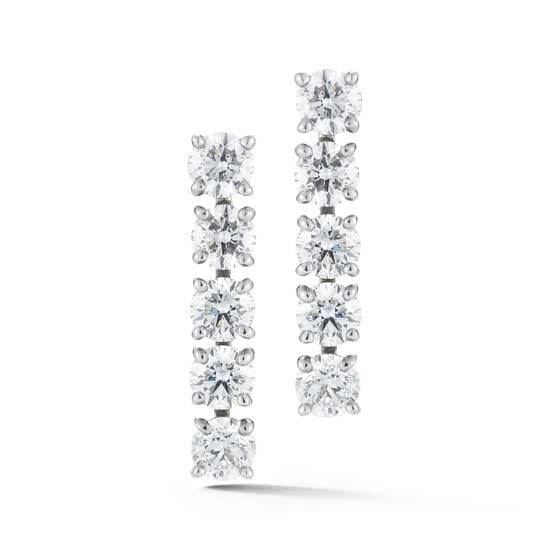 These drop earrings feature five round brilliant diamonds in each earring. Set in platinum, these G color VS1 clarity stones and are 0.15 carats each for a total carat weight of 1.50 carats. These earrings are custom made and will ship upon completion, in about 4-6 weeks. Please email [email protected] or call 212-566-8977 for custom orders and price inquiries.